Due to the advancement of technology, stethoscopes have undergone another evolution as it also shifted from an analog device into a digital tool to aid doctors in making better and more accurate diagnosis. Digital stethoscopes, also called electronic Stethoscopes, are usually big devices that are bolted on the floor and are connected to the computers. Unlike other stethoscopes, the electronic stethoscopes are considered to be one of the most powerful scopes sold in the market these days. Not only can you hear better sounds with them, you can also amplify the sounds that you are hearing from the patients’ internal organs. It also allows you to listen only to a target organ without being distracted of the other organs that you do not have any interest on. You can also record the sounds and play it back again. Moreover, you can also keep a file of the sound to easily monitor your patients. This is extremely important if you are dealing with a patient that has heart problems. The ability to record sounds is also very important especially if you want to consult with fellow medical practitioners. 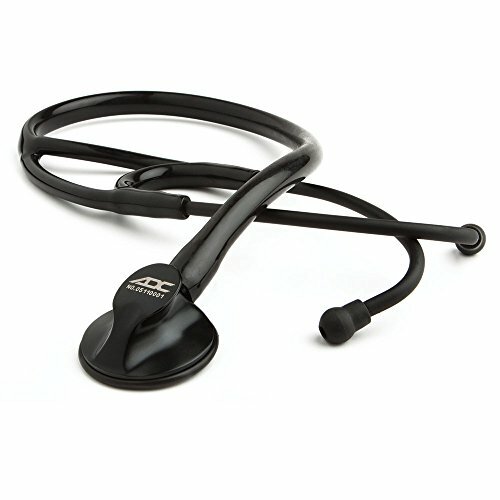 The Littmann 3100 Electronic Stethoscope is unlike any other electronic stethoscope that you will ever see. It takes the shape of an ordinary stethoscope. In fact, it comes complete with the ear piece, the rubber tube and the chest piece. The only thing that makes it discernable as an electronic stethoscope is the presence of a digital clockwork which is a small LCD found near the chest piece. 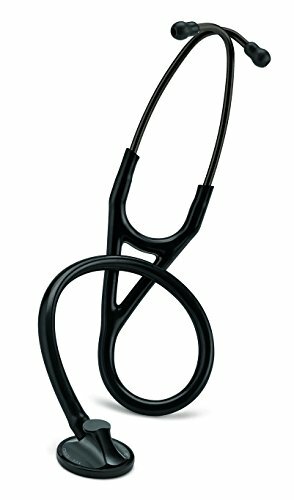 However, what most people do not know is that the Littmann 3100 Electronic Stethoscope looks just like an ordinary stethoscope. Here are some of the things that you need to know about this particular scope. With both the Littmann Electronic Stethoscope 3100 and the Littmann Electronic Stethoscope 3200: The default settings on the user interface are easily customized to fit your specific and individual needs. The LCD screen shows the user the volume level, frequency mode, battery power level, and will display the patient’s heart rate within 5-7 seconds. Both the Littmann Model 3100 and 3200 run on a single standard AA battery and the digital display reverts to power-saving sleep mode between uses. The clinician only needs to touch the patient with the scope to wake it up. This allows the clinician to only be required to turn the Littmann Electronic Stethoscope 3100 or the Model 3200 on once a day and power off at the end of the day. Clinicians can select between open-bell or low-frequency mode (20-200 Hz) to diaphragm or high-frequency mode (100-500 Hz) by utilizing the LCD display and menu options on top of the chest piece. Individual user settings can be set and saved for future usage, saving on the inconvenience of resetting each time. 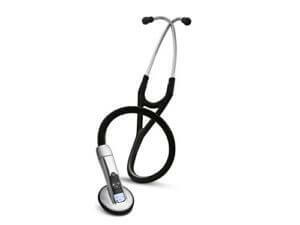 The Bluetooth enabled Littmann Electronic Stethoscope 3200 offers all of the same incrediblefeatures as the Littmann Model 3100, plus additional innovative features, such as onboard recording and playback of assessment segments in different modes and at different speeds. There is also a 3rd frequency called extended-range frequency (50-500 Hz) that allows for a broader range of sounds in one setting. The heart and lung sounds can be played back and listened to using the stethoscope’s earpieces or headset, or can be handed to a peer or colleague and have them listen to the headset for consultation. Using the Zargis heart and lung visualization software and bluetooth wireless technology, you can record and transmit a recorded sound to your computer, view it graphically, print it as a phonocardiogram, save it for archiving or for later viewing, or share it with peers for consultation. These recordings can also be stored, sent electronically to colleagues for further review, or stored as part of the patient’s electronic medical record. 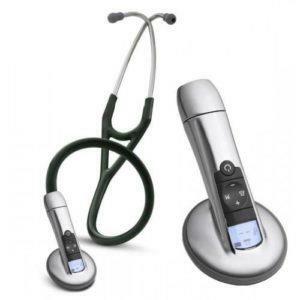 Telemedicine – The Littmann Model 3200 allows digitally captured sound to transfer in real-time from one stethoscope to another, even in remote locations. The sound experience is like being in the room with the same patient. Clinicians can even communicate from one stethoscope to another. Featuring the proprietary Ambient Noise Reduction Technology, there is an elimination of 85% of background noises, such as frictional noise from handling the chest piece, without filtering out critical body sounds. The 24X sound amplification allows you to detect abnormal lung sounds and faint heart sounds, even in challenging environments. World class patient care from anywhere in the world is now a reality. The Littmann Model 3200 Electronic Stethoscope also allows for communication from stethoscope to stethoscope using your voice. 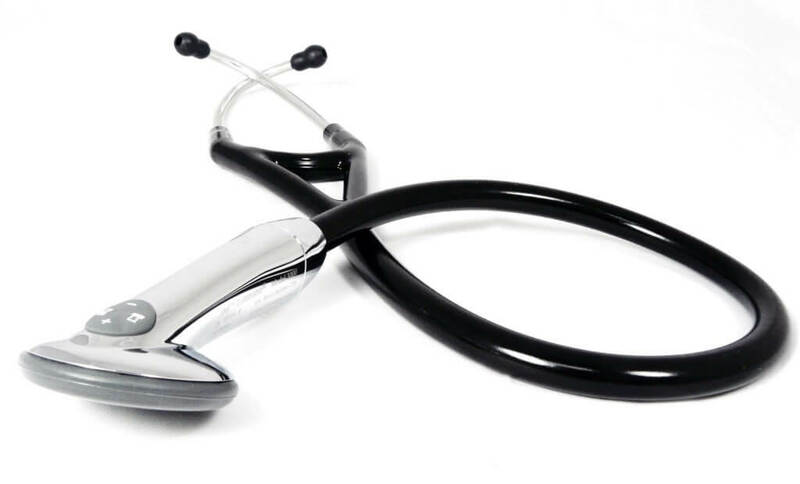 Scope to Scope Tele-auscultation technology: 3M Littmann stethoscopes are known for their exceptional sound quality. And the award-winning 3M Littmann Electronic Stethoscope Model 3200 with Bluetooth technology is no different. In fact, clinical evidence shows it’s easier to detect difficult-to-detect heart and lung sounds with the Littmann Electronic Stethoscope 3200 vs. a high-end cardiology grade stethoscope. 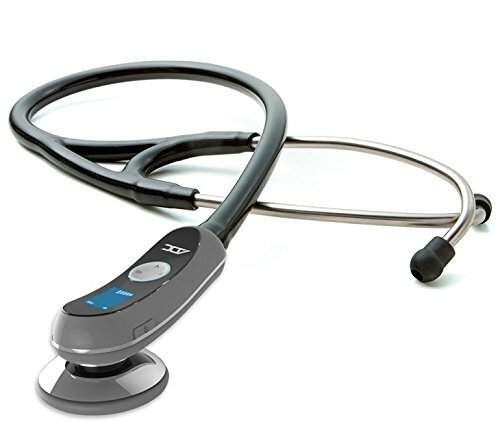 Now, this great clinically-proven stethoscope has been paired with software that works for tele-auscultation. The digitally-captured sound of a patient is effortlessly sent across a secure data network to a Littmann Electronic Stethoscope 3200 at a remote site. The consultant operating a different Littmann Model 3200 at the remote site hears the digitally-captured sound of the patient in the exact same way as the clinician auscultating the patient. The result is an exceptional sound experience unparalleled in tele-auscultation until now. Hear it….as if you were there. Another special feature is the talk-through option that allows a consultant to privately and vocally guide the auscultating clinician on the patient side through the auscultation exam. The Consultant can change the frequency mode from open-bell to diaphragm or extended range on both stethoscopes to control the listening experience. Both the Consultant and the operating clinician can control the volume independently. 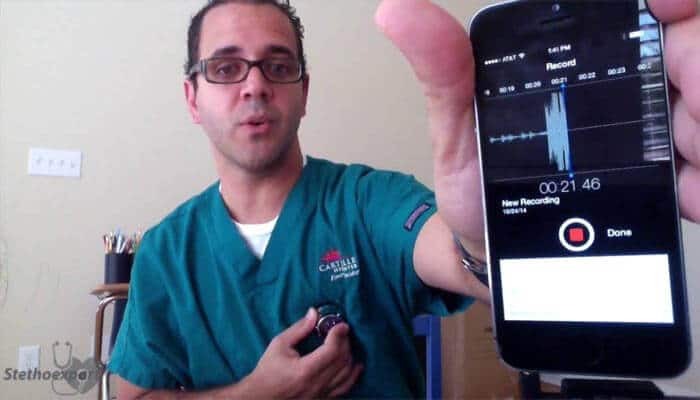 Another excellent feature is that consulting clinicians can enable the bluetooth technology to connect through their celluar phones to connect to other clinicians anywhere in the country to speak with them by speaking into the transducer as if it were a microphone and have it heard through the ear tips of the other clinician’s stethoscope on the other end. So in this regard, aside from recording and transmitting heart and lung sounds, it’s also out there acting as a communications tool so that two clinicians, or a clinician and a patient, can communicate with each other. 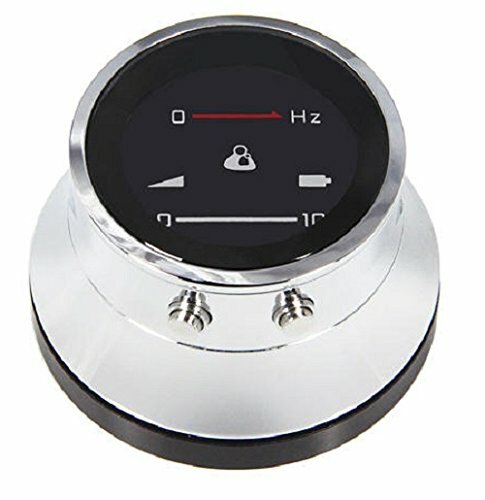 Why strain to hear the sounds from your classic stethoscope if you can hear better from electronic Stethoscope? I bet just like the rest of the medical practitioners, you might have had times when hearing your patients’ vital signs are a very difficult and daunting task. For this reason, you cannot assess your patients properly. Although this scenario is very rare, once this happens to any medical practitioners, the validity of their prognosis can be put in question and this could cost the medical practitioner’s his or her reputation to be at stake. For this reason, it is really important for the practitioners to be equipped with stronger and more reliable stethoscopes in the form of electronic Stethoscope. If you are looking for stethoscopes that are no fuss at all, then you can always choose the electronic Stethoscopes. Also called digital stethoscopes, they can read sounds, vibrations and acoustic signals from the patients’ internal organs easily unlike conventional stethoscopes. Thus, you do not need to strain your ears whenever you are listening to your patients’ vital organs thereby allowing you to give accurate and fast assessment to your patients. How would you like to be connected to the internet? With an electronic stethoscope, anything is possible. Since it is usually assisted by a powerful computer, the computer can be connected to the LAN or the server of the hospital. This keeps allows you to file the recorded sounds very easy and since it can be connected to the network, other medical practitioners can easily retrieve the file should the patient requires a second opinion from another medical practitioner. The thing about the electronic stethoscope is that they make life a little bit easier for you- the doctors and medical practitioners- and your patients. By being able to record sounds and also make a graph out of it, you can make accurate and fast prognosis in no time at all. This is extremely crucial in your ability to make the best decisions for your patients’ conditions. With electronic stethoscopes, you can definitely save more lives thanks to your better judgment over your patients’ conditions. One of the best decisions you can make as a doctor or practitioner is to choose an electronic stethoscope. Physicians that make the choice of electronic Stethoscopes report that they could not imagine how easy and fast it works and how happy they are that they went with this model type. The reason that most doctors or med students don’t purchase an electronic model is that they usually fear how expensive it can get. The manual models might not have all the bells and whistles but they work just as well. However, once you try one of the many electronic Stethoscopes on the market you will understand why no one ever goes back to manual one. A big factor into why electronic Stethoscopes have grown in popularity is that prices have dropped in recent years. 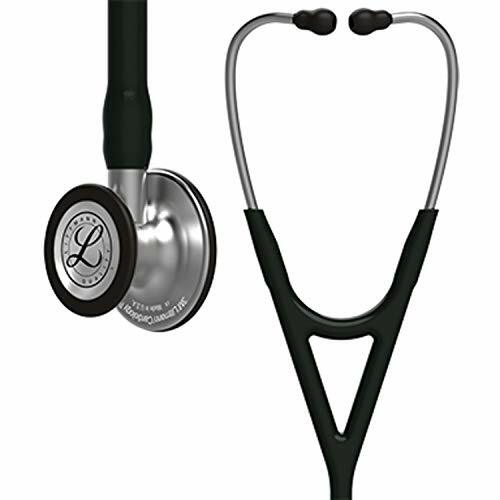 You can find a Littmann Electronic Model 3100 for as little as $287 on Amazon. The manual model made by the same company sells for $156. The price difference between the two is not that big and the amplification on an electronic model is up to 18 times greater than the best non-electronic stethoscope you can find. Plus the ambient noise reduction technology also cancels out an average of 75% of distracting room noise that can hinder an examination. In the end this can save you valuable time, and time for a doctor can mean the difference between life and death. As an experienced doctor or a resident you will find that hospitals can be a very noisy place. Having an electronic model can help make your job so much easier. You will feel secure in knowing that you heard exactly what you heard. There is no confusion at all. This can save you time and even save your patients life in some circumstances. Just about everyone can use one of these machines. One reviewer bought it for his sister who is an R.N. and this is what he said about it, “She absolutely loves it, She feels comfortable in her assessment skills as now she can hear better.” You will find all kinds of features based on the different model and brand you choose. One of the more popular options is a volume control and this is what one reviewer thinks of that feature, “Great stethoscope! Think about this if you see 20 patients a day, 5 days a week, for 50 weeks a year; imagine how many patients that means you have seen and how much time you have saved. If you think about that, then an extra hundred dollars really is not such a big expense, especially if it helps you be a better doctor and save some lives. Al the end, We would say electronic stethoscopes are the most powerful stethoscope that you will ever come across. You can have digitized features which traditional stethoscopes don’t have. Don’t be confused with it’s fancy price, take a best electronic stethoscope it will worth every penny. I’d love to hear what you think about electronic stethoscopes. Let me know in the comments.